Not long ago, Donald Trump’s national security advisor John Bolton was promising regime change in Iran by the end of this year. Uber-hawk Bolton has long wantedwar with Tehran. Secretary of State Mike Pompeo isn’t much different, and has even advocated bombing Iran. Secretary of Defense James Mattis has previously recommend U.S. airstrikes against Iranian targets. President Trump has been known to be hawkish on Iran. Politico observedWednesday: “Trump has drawn praise from the right-wing establishment for hammering the mullahs in Tehran, junking the Iran nuclear deal and responding to the regime’s saber rattling with aggressive rhetoric of his own….” There are also powerful factions in Congress and Washington with inroads to the president that have been itching for regime change for years. “The policy of the United States should be regime change in Iran,” says Senator Tom Cotton, once rumored to be Trump’s pick to head the CIA. These are the same Washington foreign policy consensus standard bearers who would likely be shaping U.S. foreign policy unfettered if 2011 Libya “liberator”Hillary Clinton had become president—or any other Republican not named Trump or Paul. 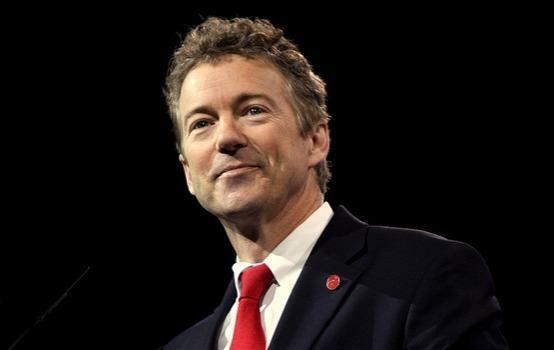 Most importantly, on arguably the most crucial potential foreign policy decision the president can make - one that could potentially start another disastrous U.S. Middle Eastern war - it appears to be Rand Paul who is literally keeping the peace.